Nature has an inherent capacity to refine and regenerate by itself. Human body is a miniature of nature. If left to be driven by the inherent tendencies of the body, refinement and regeneration of the body will take place naturally for human beings also to their full extent of life, with a graceful and glorious living. The present day life style has pulled the man a long way out of nature. We often fail to identify and attend the warning signs during the stressful life. Consequently, the powers of nature in the body are masked by the products of unsafe activities. Our body is composed of millions of cells. They have spaces in between them which are equally important like the streets for a city. These cells and the spaces in between them, in collective fashion behave as units performing various broad functions such as nourishment, oxygenation, movements, reproduction, etc. The intercellular spaces join one another and forms channels for conveyance and coordination. These spaces join together and ultimately at gross level forms capillaries, vessels etc. The formation resembles a big network of channels, which are ultimately connected with the biggest channel in the body, i.e., the gastro intestinal tract. The functional integrity of the cells, tissues, and organs, the mind and the body as a whole is solely dependent on the optimal quality of these channels, since they are responsible for everything from nutrition to excretion. Nearly 90% of our body is composed of water. Thus it is accepted that these activities are taking place in a fluid atmosphere, named as intra and extra cellular fluids which are kept separated by semipermiable cell membrane. Ideal consistencies of these fluids are very important for normal circulation into and around the cells. In this fine arena, food and activity habits, season, age, and the psycho social atmosphere make their own influences to determine health and illness. Waste and toxic depositions in the human body are a potential source of illness. Life styles have changed where more and more people are getting used to a stressful and sedentary living. Lack of exercise, eating at short intervals, junk food, etc, leads to unhealthy depositions in the body. They in turn make the circulation of fluids including blood, in the finer spaces sluggish. Stagnation of apparently thicker fluids in the channels is then to be followed. Even in areas of better circulation, the flow through the periphery of the channel will be slower than that of the centre. As a result, products of metabolism including wastes and toxic materials are exposed to the linings of channels for longer periods and interact only to degrade them. They become sticky very often and adhere to the inner surfaces of channels only to make them narrower. Majority of the diseases passes through this part of the pathology in very early stages, even before the diseases show their symptoms out. This derangement continues to exist throughout the course of illness. The occlusion of extra cellular spaces acts adversely in many ways. It affects the permeability of cell membranes and reduces, the in and out flows. Secondly, the viscous material coat itself, being alien to the often go toxic and even starts producing toxic free radicals etc. Like crystal's growth, these adhesions grow by its own creating further obstruction. Cholesterol plaques found in larger arteries are perceivable examples of it. Further, such stagnations of variable compositions initiate certain vicious circles worsening the pathology. In every disease the attempt should be not only to relive the symptoms but also to correct the basic derangement. The toxic and waste coating masking the entire life force has to be erased out. Only then body will be able to fight the illness by activating various defense mechanisms. The body will be activated in such a way that can combat the present illnesses. It is often found very frequently in practice that with this kind of cleaning alone the symptoms cure to a good extend. Ayurveda elucidates five methods of purification for the body. They remove the stagnations and expel the toxins at different areas. They are emesis, purgation, enemas, nasal drops and blood letting. The first three methods rinses the upper, middle and lower parts of the gastro intestinal tracts respectively. In diseases involving the head region, nasal cleaning is very effective while blood letting is done for purifying the fluid tissues of the body. Vamana or emesis is highly effective in diseases located in relatively upper parts of the body and for those of mucous origin. The patient is usually given milk or sugarcane juice to drink as much as possible in the morning. A suitable emetic medicine is then given with honey. He starts vomiting comfortably and completely within half an hour. It works miracles in asthma and other respiratory diseases, skin diseases, and in mental sickness. Emesis arrests the generation of excess mucus and its oozing out in various tissues. Vamana inducts a mucus free respiratory tract in asthma, oozing and sub dermal edema free dry skin in skin diseases and alertness and activeness in mental sickness. This is also of wide utility in gastric ulcers, hyperacidity, head aches, sinusitis, diabetes, certain liver diseases, addiction to drugs, alcohol etc. 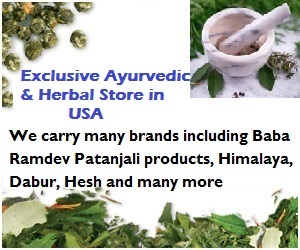 In Ayurveda plenty of purgatives in the forms powders, oils, pills, decoctions etc, are used. Purgation is very effective in diseases of bilious origin. It quickly drains out the fuels for inflammation. It purifies the blood, corrects digestion, restores motility of intestines and improves the liver functions. Various diseases of gastric origin, liver diseases, jaundice, boils and carbuncles, toxicity from causes like food poisoning, eye diseases, genital diseases, arthritis, and diabetes are treated well with carefully selected purgatives. The lower parts of the intestine are inaccessible for these methods. This area is relatively dry because the water contents of the digested materials get absorbed here. In such conditions, a mixture of oils, honey, salt, and decoctions or sometimes oils alone is the most harmless cleaning procedure is given as enema. This is the most effective treatment for all neurological diseases. The colloidal enema reaches to a good length in the large intestine, removing all the sticky and toxic adherences without making the slightest irritation to the structures. Recurrent abdominal disturbances, arthritis, rheumatic diseases, infertility, degenerative diseases, and a wide range of nervous system disorders, are found relieving by suitably selected enemas. Nasal drops drains out waste materials from different areas o f head and neck in the form of mucus. This is very useful in common cold, sinusitis, headache, and inflammation in the ear, defects of vision, cervical spondylosis and even frozen shoulder. Blood letting allows the impure blood to flow out which will be replaced by freshly generated blood in very short period. This is useful in various inflammatory diseases, skin diseases, allergy, toxicity, spleen and liver diseases etc. One of the methods of blood letting, using leeches, enjoys world wide popularity as a Para surgical measure even in most advanced medical centers. Other methods of blood letting includes skin pricks over the affected area, vaccum suction using a cow's horn or a vaccum vessel. The selection of the method, the drug selected, the kind of preparatory and post procedural care are very influential in the regression of diseases. Among these, the preparatory procedures have a major role in the effectiveness of panchakarmas. They are aimed at bringing the adhesions and impurities from remote locations to the stomach from where they are easily expelled. Medicated fats, cream of curd with jaggery, etc are some common preparations, used internally for making the impurities loose and mobile. Massage with hot oils, steam baths, etc. are some popular external preparatory procedures. They act at cellular levels forcing to expel out toxic depositions, making the fluid in the extra cellular spaces thin and mobile and allowing them to flow back to intestines. This kind of cleaning up remove all shadows which prevent the life force to act upon the diseases। It brushes up the immune system and releases energy availed from food through smoother path ways। The resultant will be a harmony of body, mind and soul which brings all the glories back to life. This is also the preparatory step for the rejuvenation treatments of Ayurveda known as Rasayana therapy.